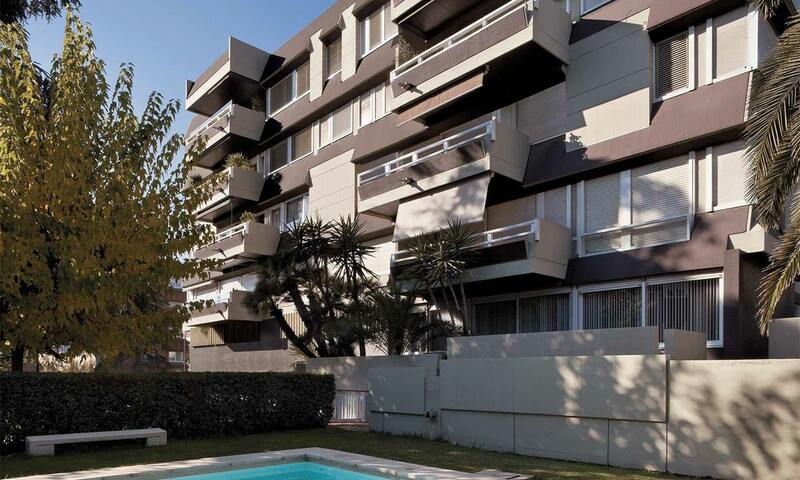 The three buildings built between 1970 and 1970 in Carrer Dr. Francesc Darder should be evaluated as a complex where the architecture, the urban planning and landscape gardening form a whole that provides a good explanation of the growth of the city in the second half of the 20th century. 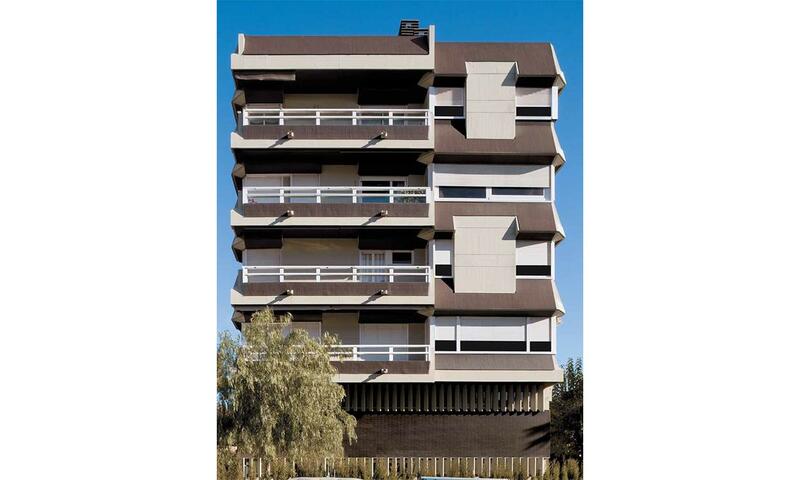 The building in Carrer Dr. Francesc Darder number 18 is made up of 8 homes, three offices and a shared car park. On being a project built according to a system of an owners’ group, each floor has somevariants in the distribution that respond the requirements of each owner. This is reflected in the façade, without losing, however, the harmony of the inward and projecting elements, sometimes broken by concrete panels that compensate for the marked horizontality of the floors. 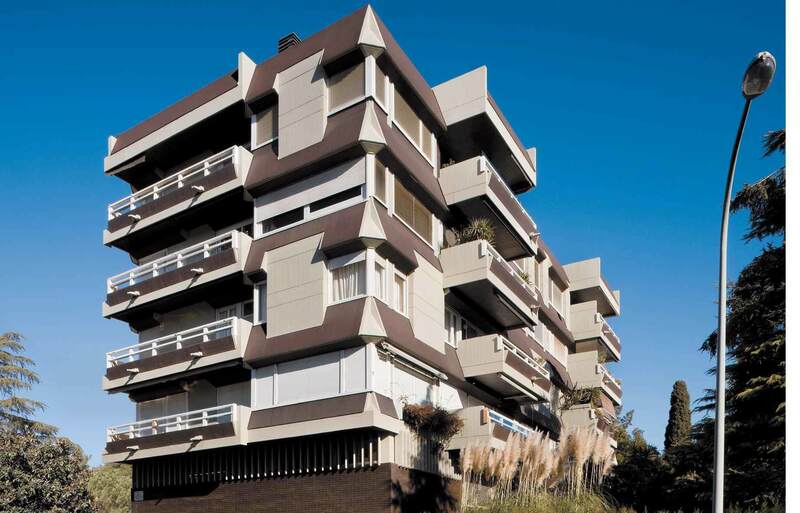 For this building they used prefabricated concrete elements on the vertical faces, matt glazed ceramics on the sloping surfaces and wood and aluminium on the frames and windows, in a language that formally and aesthetically was in tune with the Italianised innovation that dominated Barcelona at the time and which can be seen in the set of façades, in the combination of orthogonal and slanting elements and in the mixture of old and new materials. In this complex we should highlight the quality of the gardened area, the choice of vegetation, planted on a plot with a gentle slope on which they have added retaining walls in a brutal language to save heights and at the same time enable flat areas for placing the pools.